eBay Inc. is a global commerce leader which includes Marketplace, StubHub and Classifieds. eBay Marketplace’s online platform ebay.com, its localized counterparts and the eBay mobile apps are among the world’s largest and most vibrant marketplaces for discovering great value and unique selection. eBay connects millions of buyers and sellers around the world. The technologies and services that power its platforms are designed to enable sellers worldwide to organize and offer their inventory for sale, and buyers to find and purchase it, virtually anytime and anywhere. The company founded in San Jose in 1995 is a multibillion-dollar business with 179 million buyers in 190 countries. Since 1998 eBay’s International headquarters are based in Berne, Switzerland. eBay employs approximately 14,000 people globally. A few of them are Swiss nationals working in leadership positions at its headquarter in Silicon Valley. 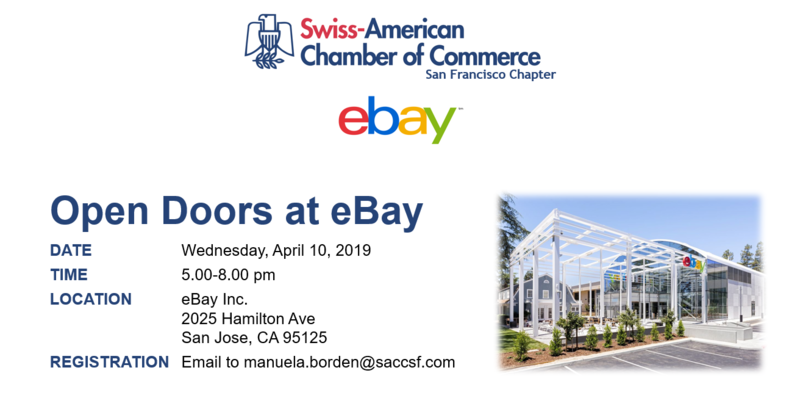 The Swiss-American Chamber of Commerce has the unique opportunity to meet them and to get exclusive insights. The popular European Pitch Night is coming up! Five entrepreneurs from some of Europe’s most interesting startups will take the stage for a five-minute pitch, followed by a three-minute Q&A round. 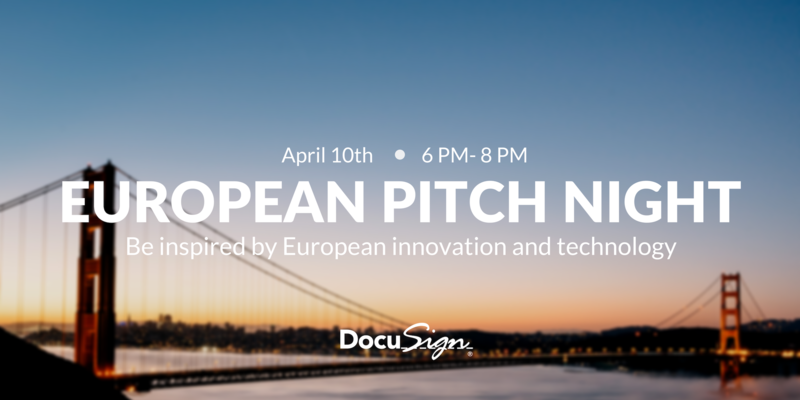 Join the European Chambers and Business Associations at our collaborative event European Pitch Night. It will be a fantastic opportunity to expand your European network in San Francisco. By connecting and building meaningful relationships with entrepreneurs, investors and potential clients. You will be inspired and learn more about European innovation and technology while enjoying complimentary beverages and light snacks. The fall edition of this event was a huge success which sold out so be sure to get your tickets from this link. The Swiss-American Chamber of Commerce is a private, non-profit organization that promotes Swiss-U.S. business relations. We offer a wide variety of services to help ease the transition between these two markets.